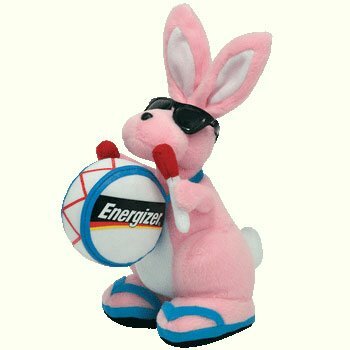 Who Is Greater Than The Energizer Bunny? Gen 49:3 Reuben, my firstborn, you are my vigor, and the beginning of my virility, with a surplus for bearing and a surplus of strength. Observe the word surplus. Google uses some of the following synonyms. Redundant, superfluous, spare, excessive, excess, overplus, overage, superfluity, redundancy, remainder, overbalance, overflow, residue, balance. Now look at Ephesians one, verse eighteen. Eph 1:20 which is operative (He charged Christ with the energy charge of His power described in the above verse; just as a battery that is charged) in the Christ, rousing Him from among the dead and seating Him at His right hand among the celestials, (You have that battery called Christ Jesus, fully charged inside of you). My friends, if we have Christ Jesus, we have excessive, surplus, redundant overwhelming power stored in us. Christ was charged with this power, just as a battery has a static electrical charge of stored energy. This charge of energy was produced when the Father raised Christ from a lifeless corpse, and caused Him to sit and reign over the universe with maximum power. We are permanently electrified in our spirit with this measure of charge of stored energy. The description of this charge is further explained by verse 21. By faith we release this deposited charge in dunamis power, or power in ability. The ability which we minister in is the energy released from this infinite warehouse of stockpiled power, which is charged with this static spiritual energy in us. Christ owns an excessive, exceeding surplus of transcendental wealth and fortune, to go along with His power. We must pray, study the Bible, and cry out for revelation, until our identity becomes one of this charged battery. The Christian must walk in the image of excess, abundance, surplus and redundant ability for every circumstance. Not a carnal and selfish excess, but the excess and surplus that is in the Person of Christ. The Christian is greater than the energizer bunny. 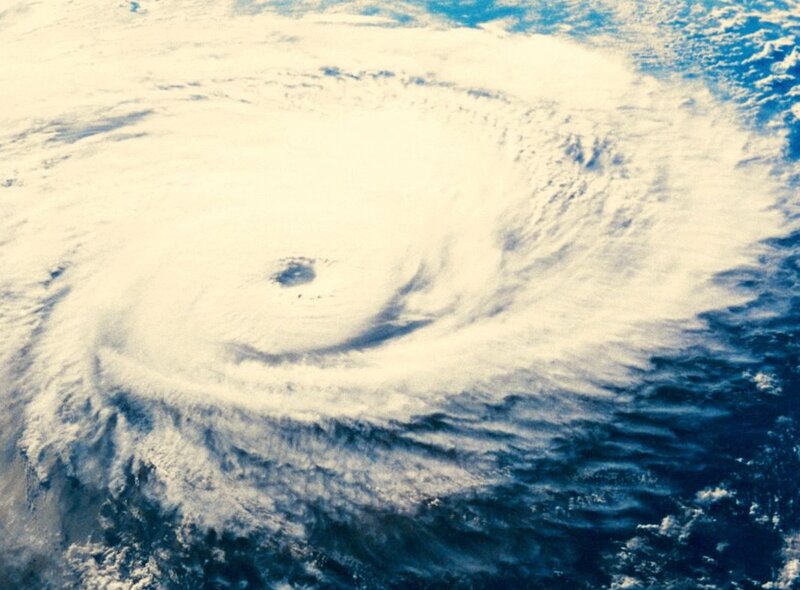 My first encounter with God’s voice occurred with Hurricane David in August of 1979. I was a babe in Christ, having given my heart to Him six months before. I did not know other believers and did not have a steady church to go until 1981. I thank God that my fellowship was only with TBN, Jim and Tammy Baker and Jimmy Swaggart, even though I was so so lonely. I was forced to learn to pray and study the Bible for myself. I had to learn about the Kingdom of God, and of Satan, by myself. In those days, we lived on Key Biscayne. My father, and my now deceased mother, were getting divorced and my father had moved out of our home. I used to idolized hurricanes and tornadoes spending hours in front of the Weather Channel. When Hurricane David was tracking across Santo Domingo, I believed that I heard the voice of God, for the first time. I thought that God told me that David was not going to hit South Florida. I told my parents that God had told me that David was not going to hit. Many people are shocked with that type of statement. Or they associate you with as a nutcase who hears voices in his head. My parents, in those days, thought of my conversion to this God as totally absurd, fanatical, and worthy of being hauled into a psych ward. I was an impetuous and rash young man full of faith in the God who was transforming me. “God told me that the hurricane is not going to hit,” I retorted time and time again. David, however, with massive wind fields was zeroing in on Miami and Key Biscayne, which was surrounded by the Atlantic Ocean. About 48 hours before its arrival, the Key Biscayne Police Department drove around with megaphones telling people to evacuate the island. I don’t know what I would have done now, to honor my parents. You can imagine what my family thought of me, and what I put them through. But obedience is better than any sacrifice we can make. David had its refined sight still honed upon the Magic City. Most of the island evacuated. We boarded the home and my mother, brother and sister left for the Holiday Inn on the edge of the key. I stayed in the boarded house with my giant print, green Living Bible, a weather radio, and a few flashlights. With the eye of the potent hurricane 10 hours away, light rains began. I had the TV on and read verses from the Bible. The winds and rains intensified. Suddenly the lights went out. I only had my little weather radio. With the absence of noise, I could clearly hear the ever-increasing winds. I became glued to my radio. To my dismay, David was quickly pouncing upon South Florida. What would happen if the Key flooded and I was there all alone? My mother frantically telephoned and pleaded with me to come out to the Holiday Inn. I freaked. I got the keys to the car and decided to flee the Key. Opening the door, howling winds and horizontal rains pelted me. There was no way out. Trying the phone back to my mother, the lines had dropped. I was left with no communication, no electricity, and not knowing if I had heard a demon instead of God. It was about 1:00 AM. The eye was to hit at about 6:00 AM. I then heard a voice from the dead TV set. To this day, I do not know what it said. For sure it was a man’s voice. My weather radio also died. The only sounds now were the shrieks of the winds which got more potent and boisterous. I was terrified. I got my Bible and the flashlight and began to read from the Book of Job. It must have been 3:00 AM. It’s in the midst of walking on water that God answers. It’s when we step out on the fragile limb that the Lord acts. With flashlight shining on the giant print, and hooting winds engulfing me, I opened to the Book of Job. It wasn’t long before I came to the following verse. That is when I knew that God was speaking. God talking to Job out of the whirl wind! God was now talking to me out of the whirl wind! It was bizarre. As I read on I came to the following verse. I know that the behemoth in the King James Version is cattle, a water buffalo, or a rhinoceros. But as I read this scripture, the rays of my flashlight hit a darkened part of the wall, and landed on a huge white moth! Behemoth….moth! The timing could only be God’s! It was surreal. At about 3:30 AM the winds augmented all the more. I got angry at God. I ranted for half an hour at Him. I climbed on a chair and shook my fist at Him. Stuff like this went on as the winds grew and abounded before my ears. I opened back to Job, frantic for an answer. God then answers Job and me again from the whirlwinds. This time He rebuked me for my panicky rant. 9 Hast thou an arm like God? or canst thou thunder with a voice like him? I read on until Job 42. At that moment that God says “ my servant Job shall pray for you”, I dropped my Bible, and lunged on my face unto the icy cold white tile floor. For ninety minutes I cried out with all my soul for God to have mercy and spare me. The winds amplified the more. I redoubled my efforts. “ Oh God, I am sorry, please make the hurricane turn around”. Then after an hour, lo and behold, with my face still buried frozen in the cracks of the floor, the winds began to decrease. By 5:00 AM there was a significant reduction in the wind speed. I kept on praying. By six o clock the winds were only about 50 miles per hour. The eye should have been upon Miami. There was no power or phone. I had no idea what happened. I fell asleep exhausted. In the early afternoon I walked to the 7-11 and bought a copy of the Miami Herald. I was then to discover that at about 5:00 AM when David was over the Bahamas, its steering currents shifted and thrust the hurricane northward. Indeed, David did not hit Miami. Indeed it was then that I began to hear and learn the voice of God. My encounter with Hurricane David concluded in a most dramatic way. That fateful afternoon as the hurricane barreled northward away from Miami, I laid on my bed, alone in the still boarded home. I then heard a loud bell clang between my ears and a voice which followed “ Devastating hurricane, flee Homestead, flee Key Biscayne.” For years after this, I tried to understand why people should flee Homestead. Key Biscayne yes, but Homestead does not have an ocean or river. Well, we all know about Andrew and Homestead. Thirteen years after that voice, Homestead was decimated by the eye of Andrew. Every tree in Key Biscayne was splintered in half. When Andrews was coming, I tried to pray Andrew out of South Florida, but God would not let me. Only He knows why. God is truly amazing! New Places, New Enviroments, New Cultures; I’m A Universal Traveler. It’s been some time that I have been walking out a personal infirmity. No doubt, I know that God is healing me, or has healed me. God took His sweet time with this process, though. Many a time I have wondered why? When one possesses a land with great difficulty, one never goes back to the sin which caused the infirmity. The time it took was simply too long. The fasting, the prayers, the brokenness, put the fear of God and the horribleness of sin in me. Fallen human nature does not appreciate what is freely given. When it has to pay for it, it cherishes it all the more. When things are free, you can take or leave them. Someone said, “Grace is free but not cheap. “ Possession of our souls, is free, in that God has saved us. He does not make it easy though, so that we fear falling back into sin. After battling long and hard with the infirmity, I know that I have been healed. Yet, I feel the pain of it, and the attack of the enemy with pain. I am convinced that behind most infirmities there are demons. Heaven has an atmosphere, and a culture. We see it all the time in Ezekiel and Revelations. An atmosphere: The pervading or surrounding tone, influence or mood of a place which is put out by the culture of that place. Environment That which environs or surrounds; surrounding conditions, influences, or forces, by which living forms and things are influenced and modified in their growth and development within that environment or place. A culture is behavior, activities, values and beliefs which are reinforced by the members, and things within a place. Paul calls this atmosphere and culture, heavenly places, or living in, or Inside of Christ. God has blessed us, past tense, with all spiritual blessings, in heavenly, but not earthly places. In, or Inside of Christ, do all things exist perfectly created, not outside of Him. It’s in heaven’s environment, with its own set of laws that healing manifests. There are no sicknesses in heaven. In earthly places there are. Earth’s base atmosphere allows demons to attack. The atmosphere of heaven will not, since demons live far below . In my quiet time, it dawned on me how many things does God long to birth in heaven’s atmosphere and surrounding culture. Complete/ perfect passive tense: Filled full with all that God is, owns, and wants to do and existing now and forevermore in that dimension. We must see ourselves as complete. The warfare that we wage in flesh and spirit will battle and tells us otherwise. This is our great conflict, guaranteed. Because faith is a law, we obtain in proportion to seeing ourselves complete or incomplete. Has the work been completely done in you, or did Christ forget something? When you see yourself complete, you will experience complete salvation, as much as can be attained on this side of eternity. If we still live in earthly places and in the old identity, God cannot birth. Birthing is the product of something new. The new only comes when the cycle of the old is complete. We must be done with who we were, and where we live, so that the birthing commensurate with the laws and customs of the new place can ensue. Birthing occurs effortlessly. It just happens . You do nothing but receive it. If you are done with your cycle of old identity, old places, and old cultures, expect for new things to be quickly birthed in you. Oh yes, don’t forget to be thankful to God. This is a huge part of the new culture. It’s the necessity of the case or binding (In God’s mind) that these things be birthed in swiftness or quickly. Re 4:1 After this I looked, and, behold, a door was opened in heaven: and the first voice which I heard was as it were of a trumpet talking with me; which said, Come up hither, and I will shew thee things which must be (birthed)hereafter. Up step here, and I will show you what things are binding and necessary to be birthed after these things. Re 4:2 And immediately I was (birthed)in the spirit: and, behold, a throne was set in heaven, and one sat on the throne. Re 12:10 And I heard a loud voice saying in heaven, Now is (birthed) salvation, and strength, and the kingdom of our God, and the power of his Christ: for the accuser of our brethren is cast down, which accused them before our God day and night. Re 21:6 And he said unto me, It is has been (birthed) ( perfect active indicative) I am Alpha and Omega the beginning and the end (The origin and the completion or consummation of all things). I will give unto him that is athirst of the fountain of the water of life freely (lavishly and extravagantly). Re 22:6 And he said unto me, These sayings are faithful and true: and the Lord God of the holy prophets sent his angel to shew unto his servants the things which must shortly be (birthed). Ex 8:24 And the LORD did so (KEN); and there came a grievous swarm of flies into the house of Pharaoh, and into his servants’ houses, and into all the land of Egypt: the land was corrupted by reason of the swarm of flies. “Yehovah asah ken” in the Hebrew, is defined as “Jehovah worked, or did so”. The Hebrew word “Ken”, minute in letters, is huge for faith. Faith, and our obtaining by it, is an immensely targeted thing. God’s riches are astonishingly bountiful. They are infinite, transcendental and function in hyper dimensions. They are not easy to get to, though. If you are not obsessed with the Lord Jesus you will receive little of what He owns, at least in this life. Breaking through the second and into the third heavens to possess His riches, is hard work. Without revelation knowledge and a life of prayer, you won’t get there. Paul said that he lost all, deeming it manure, to possess the spectacular Christ. So to recount, the faith that we use to possess what Christ has, is exceedingly targeted. Look at the definition for intercession. Ro 8:27 And he that searcheth the hearts knoweth what is the mind of the Spirit, because he maketh intercession (entugchano) for the saints according to the will of God. Ro 8:34 Who is he that condemneth? It is Christ that died, yea rather, that is risen again, who is even at the right hand of God, who also maketh intercession (entugchano) for us. Heb 7:25 Wherefore he is able also to save them to the uttermost that come unto God by him, seeing he ever liveth to make intercession (entugchano) for them. Joh 15:7 If ye abide in me, and my (rhema) words abide in you, ye shall ask what ye will, and it shall be done unto you. God requires that our prayers be spot on to His voice. If we are to get from Him, we must ask in accordance to His voice, His rhema word, which is also His will. Matt 18:16 But if he will not hear thee, then take with thee one or two more, that in the mouth of two or three witnesses every word ( rhema word) may be established. 19 Again I say unto you, That if two of you shall agree (Symphony) on earth as touching any thing that they shall ask, it shall be done for them of my Father which is in heaven. The greater our symphony with His voice, which is His rhema word, the more we receive. The more the inaccuracy to His voice, the less. It’s all degrees of accuracy and specificity, with the Holy Spirit. No wonder, that so many churches are weak. Programs based on good ideas without God’s voice will only produce a bit. Many congregations sow much, but reap little. What does Jesus say about targeted faith? Mark 11:23 For most certainly I tell you, whoever may tell this mountain, ‘Be taken up and cast into the sea,’ and doesn’t doubt ( does not judge by circumstances) in his heart, but believes that what he says is happening; he shall have whatever ( ho ean) he says. Greek: But believes that what he says (as to the content of his speech) is becoming, it shall be to him whatever (ho ean) comes out of his mouth. “Ho ean” are other words that though small, are giant in meaning. So Jesus says, that what comes out of our mouth, if we can believe for its content, without doubt, we will receive “ho ean”. Getting back to our word “ Ken”. We perceive God creating in Genesis. I know that God lives by faith. I was struck by the phrase “and it was so”. Everything that God speaks is, “and it was so”. Ge 1:7 And God made the firmament, and divided the waters which were under the firmament from the waters which were above the firmament: and it was so (KEN). Ge 1:9 And God said, Let the waters under the heaven be gathered together unto one place, and let the dry land appear: and it was so (KEN). Ge 1:11 And God said, Let the earth bring forth grass, the herb yielding seed, and the fruit tree yielding fruit after his kind, whose seed is in itself, upon the earth: and it was so (KEN). Ge 1:15 And let them be for lights in the firmament of the heaven to give light upon the earth: and it was so (KEN). Gen 1:30 And to every beast of the earth, and to every fowl of the air, and to every thing that creepeth upon the earth, wherein there is life, I have given every green herb for meat: and it was so (KEN). 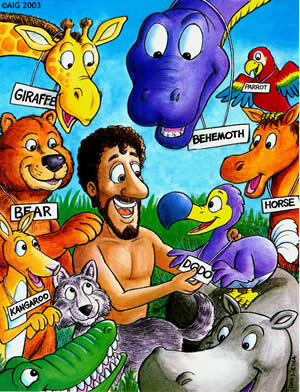 Hebrew expositors define “Ken” like this. “Thus, so”: An as adverb, “ken” expresses the realization of something before spoken, commanded, wished for, or believed. “In exactly the same way that it was spoken, it is fulfilled.” This is “Ken”. “So thus”: This pertains to a sequence of events which was referenced to by what preceded them. This is “Ken”. “Therefore” The fulfillment of something that was asserted. This is “Ken”. “Just so, in exactly the same way”. This is “Ken”. “So much as”. This is “Ken”. Two things are vital for faith. That is, that the “ho ean” that we ask for, we receive as “ken”. Your breakthrough will come in a renewed mind. On that day, with ease you command the “ho ean” in symphony with God, and it will be for you, “ken”. You will say that you met the most important “Ken” in your life, and that he lives in the Bible. Gen 2: 19 Out of the ground Yahweh God formed every animal of the field, and every bird of the sky, and brought them to the man to see what he would call (qara) them. Whatever the man called (qara) every living creature that was its name. Hebrew: And all, whatever man (Adam) labeled ever part of God’s creation, that was the name of it. The word “call” is “qara” in the Hebrew. Biblical calling has greater connotation than the simple articulation of an utterance. “Qara” implies the labeling of creation, events, or circumstances with the words of our mouth. Labeling classifies the object into a specified category, for good or bad. Rom 3:27 Where then is the boasting? It is excluded. By what kind of law? Of works? No, but by a law of faith. As we studied, faith is a law. A law triggers specific results in quantified circumstances. Faith is a potent thing, for good or for evil. Every answer that we procure from God must come by faith. Many a time God has kept me in the lurch of trial until I learned to ask and believe by faith. One day of great faith does more than one month of prayer. When calling “qara” by faith, I place a label on what I call, and appoint it into a category. By my labeling I assert sovereignty into that which I labeled. Summarily I decree what it will do, since I have classified, branded, and narrowed its functions within the category. I restrict the object to perform the specified tasks commensurate with its classification. Within those tasks, I endow the object with what it needs to complete them, for good or evil. God did not label His creation. It was man! God brought every part of His creation to see what man would name and label it. Adam’s labeling thousands of years ago, remains in full effect. Out of the mouth of one mortal, creation functions for us today, or we function for it. Many a time we are its prisoner, and all this, out of the mouth of one man, a long time ago. What power God gives man! What power lies in the tongue! What freedom of will God gives, that He waited on Adam to see what he would choose. God honored what Adam chose! He waits to see whether we choose Jesus or not; whether we send ourselves to heaven or hell. He honors our decision. I think of Christopher Hitchens. God honored his atheism. I pray that he found His maker. Circumspectly we talk to our children, our neighbors and ourselves. We are creatures of labeling, and as with Adam, whatever we call, that is its name, for good or for evil! Cause frogs to come up on the land of Egypt! The Hiphil Hebrew verb tense is the causative tense, or one in which the subject causes something to occur. The imperative mood is one of command. So many times we ask God to do this and that for us, when God waits for us to cause it to ensue. We have the authority by the voice of God. Today, cause what you need to happen by God’s voice.